The New Smashing Book: Now with More ME! I’m excited to officially announce the my inclusion in The Smashing Book #4: New Perspectives on Web Design. SURPRISE – I wrote about content strategy. The chapter, which focuses on both sides of the content strategy landscape – both user needs and editor needs – serves as a capstone to all of this empathy stuff that’s I’ve been writing and talking about over the past year and a half. So go buy it. We spend a lot of time worrying about where content will come from and what form it will take. Where we often stumble is aligning those decisions with our existing resources. Because while structured content and editorial calendars are fantastic, they take time – time a small business or non-profit may not have. So let’s talk a bit about how we can prioritize tasks and goals, all while taking our clients’ existing pool of time into consideration. A lot of praise for Karen McGrane’s recent column, a little notice about a post I wrote about speaking, and a whole bunch of excitement for our gradual shift toward audience-centered talks. The chasm of understanding between consultant and client – or between content person and marketing team, or whatever your situation might be – is a dangerous hurdle. Our job as content experts is to understand that, despite the promises and assurances we make in terms of a client’s content, our own explanations and processes are tangled, weirdly worded and sometimes impossible to decipher. Confab was a big deal for me in 2011. I reinforced a lot of assumed friendships and started dozens more, all while basking in the glow of being among my people. So it was my pleasure to write a blog post for the Confab Events blog about how important the conference experience is. 2013 is the year of thinking small. And, it’s the year of two new blog series. We’ll take out the dissection kit and pick apart the fields within a structured content model. And we’ll do the same with our methodology, adapting it to fit the needs of a smaller business, pointing out the places where it’s okay to skimp and slide, and pass along some thoughts on empathizing with a marketing manager who’s already working extra without the added weight of a new content management system. I was fortunate enough to travel to Cape Town, South Africa, this past week. In addition to beautiful weather and brandy distillery tours, I watched a bunch of great speakers and friends talk at length about a little bit of everything – from driving change to HTML5; from the challenges of owning – and changing – a business to the functional possibilities of structured content. It was inspiring and comfortable – a little bit like Content Strategy Camp – and the attendees and speakers alike were all wonderful. The slides for this talk – which, naturally make little sense on their own – are here for your viewing pleasure. This talk is based on interviews with several people and research, which was compiled into an article on this here blog, “Empathy and Content Strategy: Teaching, Listening and Affecting Change”. Content strategy practitioners – and, really, the entire UX umbrella – serve a unique role in the life of a web property, in that we act as an advocate for people we may never know. But there’s another element of this process that can often be overlooked, and it’s the audience we know and understand and work with on a daily basis: the client. 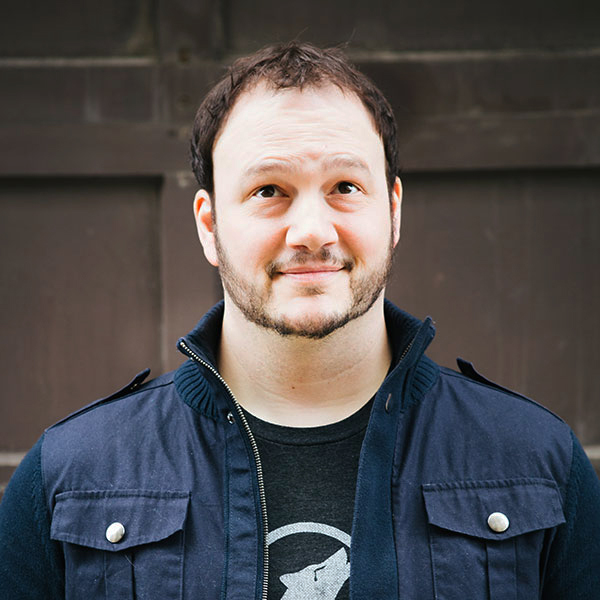 I’m Corey Vilhauer, user experience strategist at Blend Interactive. I like to talk and write about content strategy, especially as it concerns the intersections of small business culture and the difficulty in making things real. I can talk or write for your thing! All you have to do is ask. We help institutions and agencies tackle complicated web and content problems. We are content-focused, future-friendly, and process-driven.